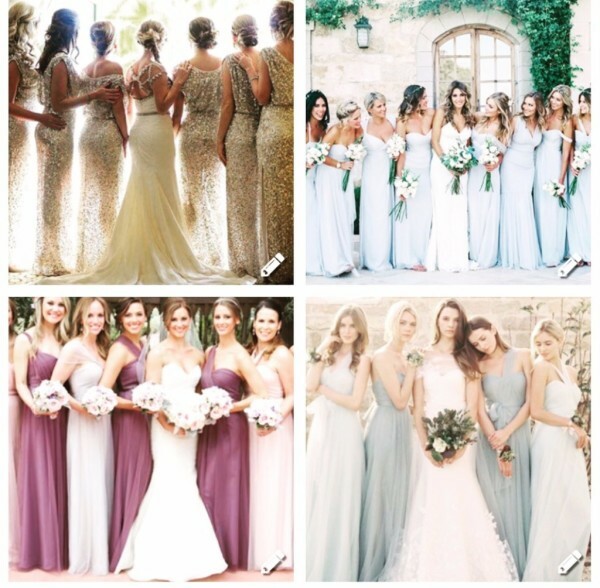 Our bridesmaid collection features an array of styles from classic to elegant to trendy. Our most coveted separates represent exciting changes in fashion and make the transition from daylight to twilight. We offer the most enchanting and extensive selection of colors for a wistfully individual approach to style. We have a variety of accessories including veils, headpieces, tiaras, belts, and so much more. BROOKE & BRE is an convenient one stop shop for our brides and bridal party. Flowergirl dresses are trendy and complimentary of the bridal gown. We have some in stock but mostly order. Click the buttons below to see what we carry and ask about our bridal discount.